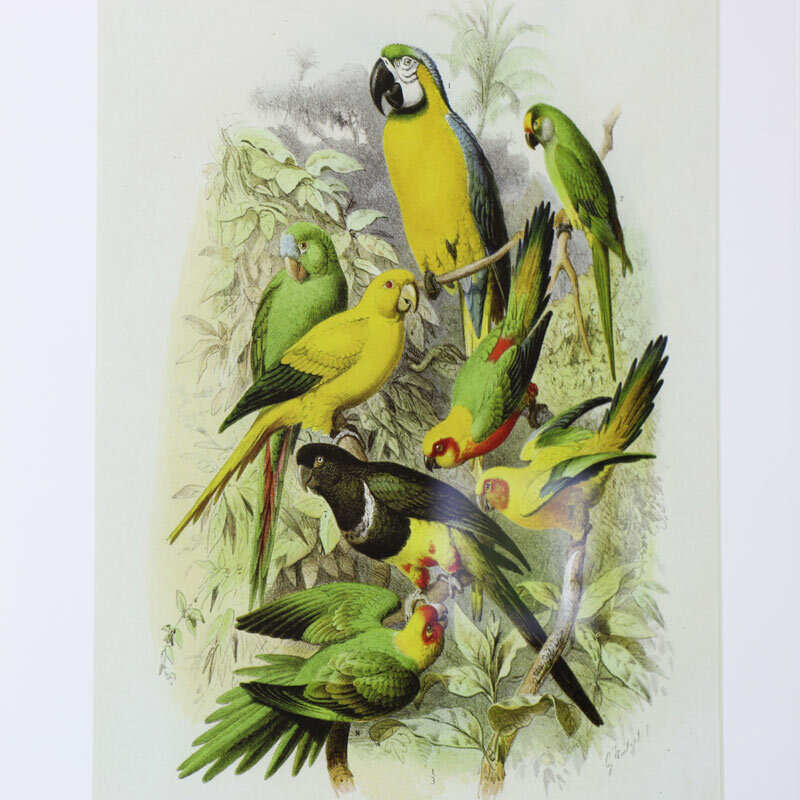 Tropical & botanical themed wall prints depicting parrots & parakeets in their natural habitat. 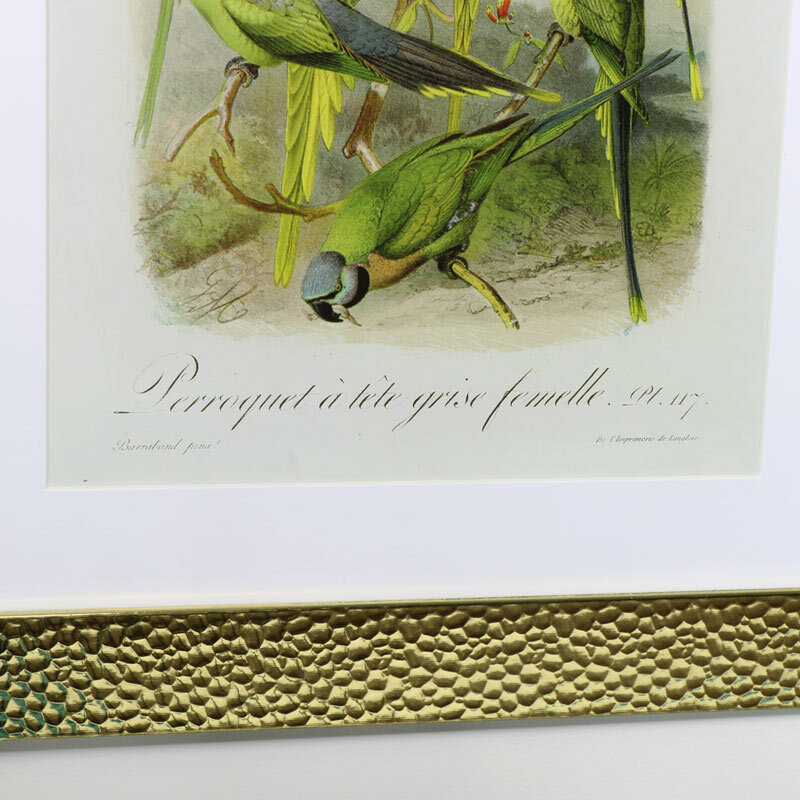 Displayed in beaten gold frames for a vintage, luxe look. 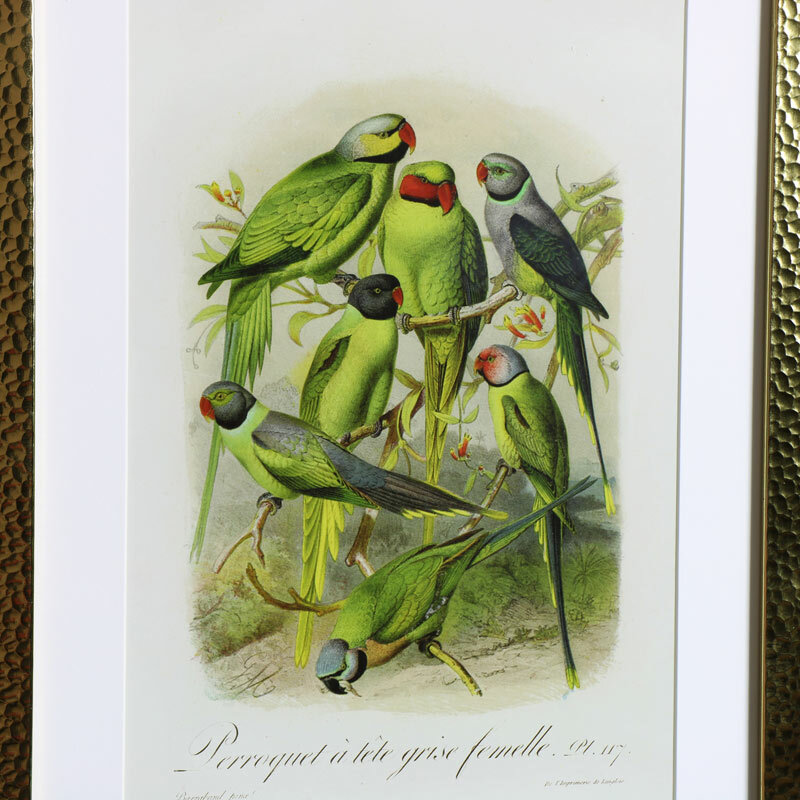 Ideal for hanging in the pair or separately for a retro, vintage feel. Great way to add a finishing touch to a room and will also make a great gift idea. 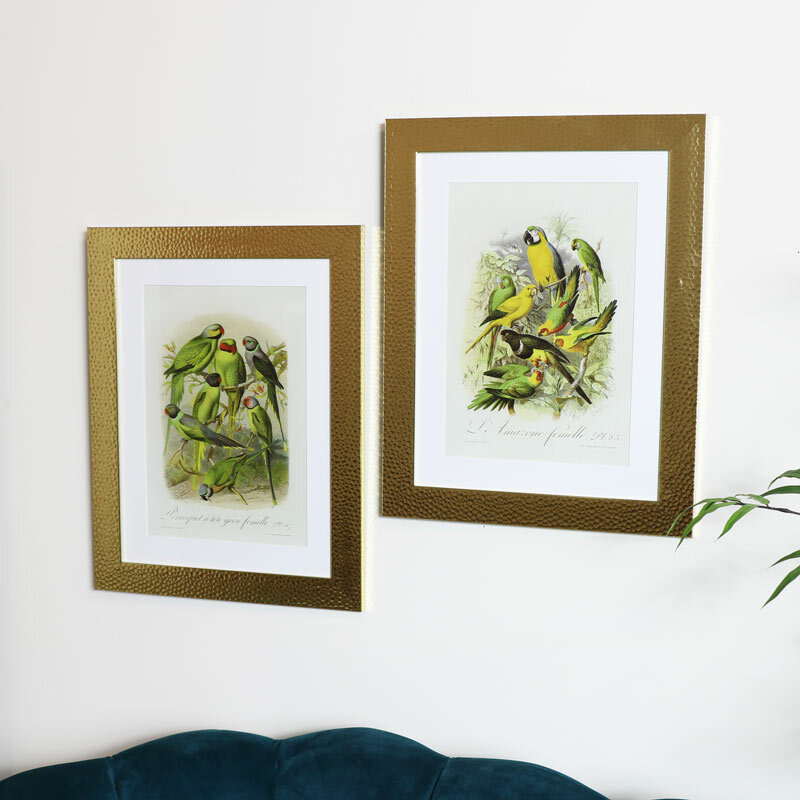 These are perfect for decorating an empty wall space and will appeal to bird lovers.